You’ve spent hours designing a landing page. You’re pouring cash into PPC ads and email marketing campaigns. But, conversion rates are low. You want everyone visiting your landing page to turn into a customer, sign-up or lead. 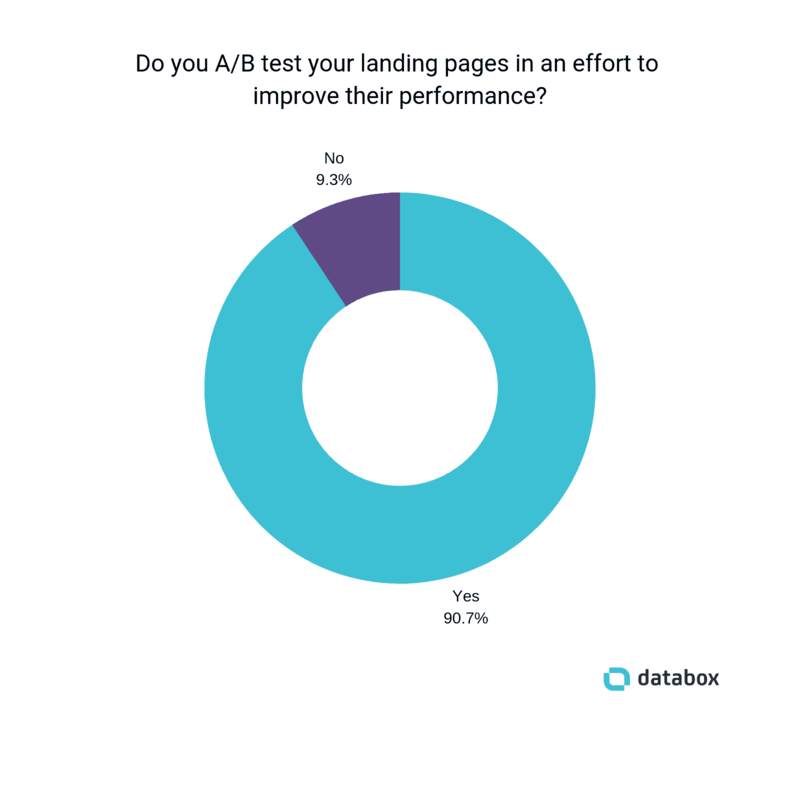 Yet our survey found the majority of marketers run landing pages with a conversion rate below 10%. And while the average conversion rate of a landing page is 26%, it’s still not good enough. You don’t have to suffer with poor landing page conversion rates forever. 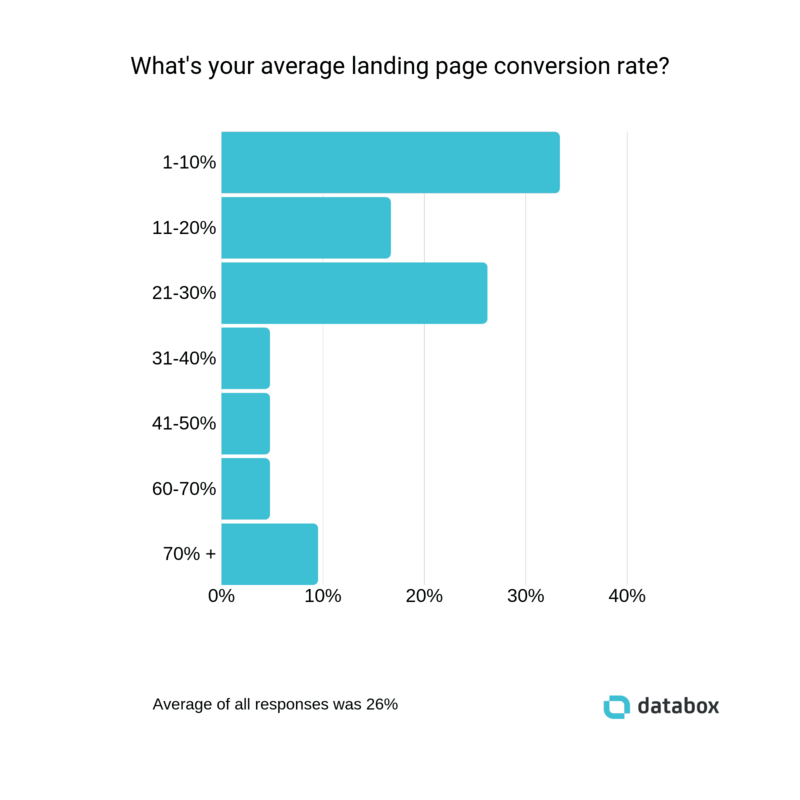 We asked 37 marketers to share their best tip for boosting conversion rates on their landing pages. From prioritizing content above the fold to monitoring on-site behavior, we’re sharing their advice to help you improve yours. *Editor’s note: Which of your company’s landing pages are driving enough traffic to achieve the lead volume needed? Which are converting poorly? 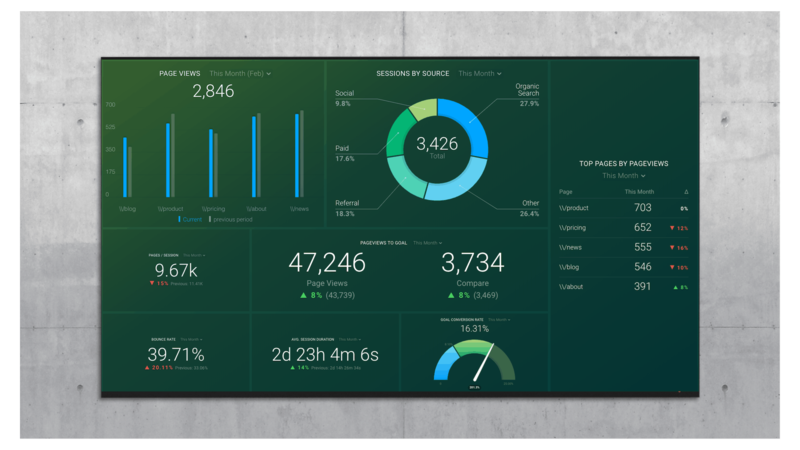 Grab this free Google Analytics template and instantly visualize the performance of all of your landing pages. **Are you a HubSpot user? 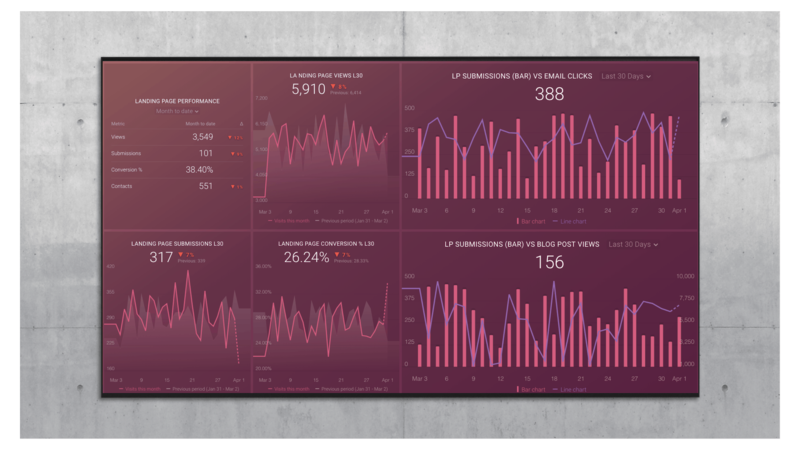 Track and visualize the performance of all of your landing pages with this free template. It’s all too easy to read a list of tactics, and rush to edit your landing pages. Before we go any further, ask yourself the questions Mike shared. 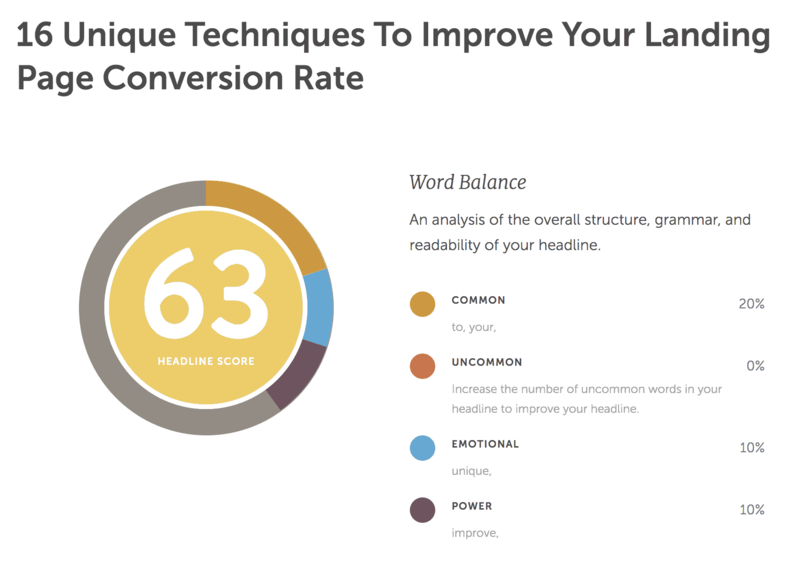 Focus your entire landing page around the answers–from headline text to video content. You’ll need to start with solid foundations before we build up. 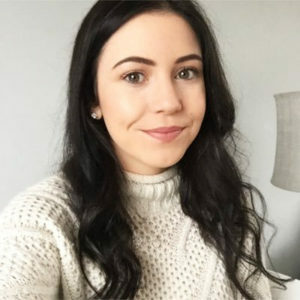 “Today, consumers demand personal treatment, and when you’re moving them along a path with strategic targeting and retargeting, you’re able to position the appropriate landing page for where they’re at”, says Big Splash Social‘s Anneline Breetzke. “Duplicate a previous landing page, update the text so it reflects the new offer. With so many different tasks on our plates, it’s easy to take these shortcuts. What suffers the most is the value proposition,” Zaharony explains. Above all, your landing pages should be the gateway to value. That value could be anything from webinars and eBooks to checklists (as Structsales‘ Emelie Svedberg says “have a good conversion rate”), but regardless of the value on offer, make sure it speaks to a specific type of person–and mould your landing pages around that. People are quick to make a first impression. “Chances are that the reader is not going to read every word on the page, but they will definitely read the headlines. You should change and test the copy of your headline, making sure that it is attention-grabbing, clear, concise, and sums up your value proposition”, says Codal‘s Jenna Erickson. Tamas is dead on the money here: Studies have shown that people rely on emotions, rather than information, to make decisions. …Including whether to purchase a product, sign-up for an eBook, or gain access to whatever your landing page offers. I’ll bet that copy is already pretty high on your landing page checklist; it’s the way you’re communicating with visitors. You can’t persuade them to convert without text to tell them why, right? 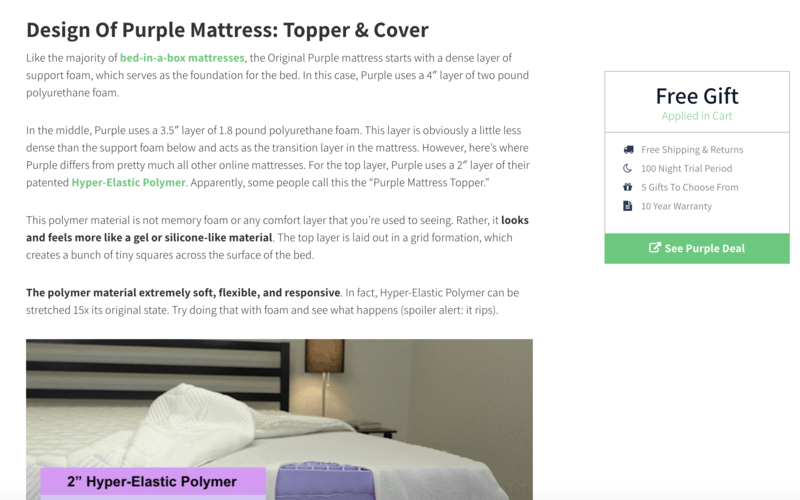 “In my experience, one of the most effective ways to improve your landing page conversion is to craft a compelling flow of text,” explains Ollie Smith of ExpertSure. You know copy is important, but it’s not easy to craft a seamless flow of text for a landing page if you’re unsure what to include. User intent is the solution people are looking for when they land on your page. Are they looking for a blog post filled with information, or are they further along the sales process and almost ready to convert? You’ll need to suss-out the user intent for your landing page (and the keywords you’re targeting to drive traffic), Blair says. Blair isn’t the only marketer who’s seen results from urgency-focused copy, though. Tom Berry of Autus Consulting Ltd also recommends to: “Create a sense of urgency e.g. Limited time offers, or say only the first x people will get this freebie,” in order to boost landing page conversion rates. She doesn’t rely solely on cleverly-crafted, copy though. Again, Clyde places the importance on the content of the video, rather than the format he’s using. “Keep it simple, but a few video best practices apply – low volume background music increases the engaging quality of the video and helps mask audio inconsistencies. Captions keep viewers who have their devices muted (or browsers that mute autoplay video) engaged. Simple chyron (lower third graphics) can be used to amplify ‘the big idea’ and keep your videos focused. Think about the last time you lingered over the “confirm purchase” button. Did you buy the product off your own bat, or was the need for recommendations a huge role in your delay? I’ll bet it’s the latter. 88% of customers will check out reviews before making a final decision on a purchase–which is why these marketers recommend including trust signals to boost your landing page conversion rates. “Adding trust signals like previous clients, awards, certifications, or testimonials will work wonders”, says Market 8‘s Brian Schofield. So, where should you place these testimonials? Your landing page’s design is just as important as the copy. 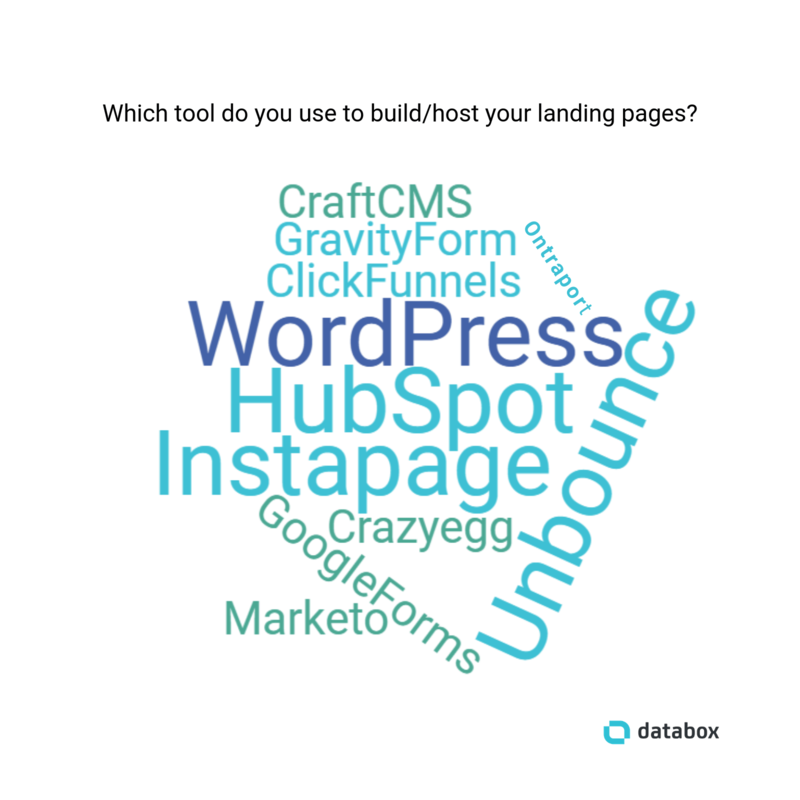 It’s easy to go overboard with your landing pages. That bears one question: Is it possible to create simplistic landing pages with flowing copy, video and social proof, whilst also boosting conversion rates? The answer is yes. Here’s how five marketers remove distractions, while simultaneously improving conversion rates for their landing pages. 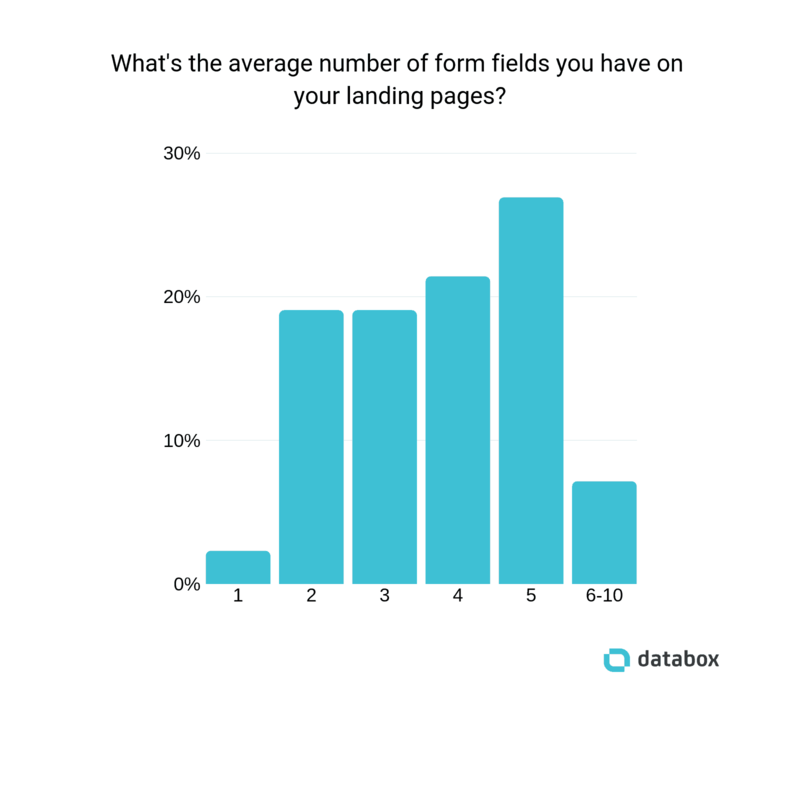 Take a look at the lead capture form you’re using on your landing page. You can live without the last three, but you’d struggle to create engaging retargeting or nurturing campaigns without the first three. “Once your webpage visitors land on your page, they need signals of where to go next”, explains Laura Gonzalez of Audi Bellevue. There are hundreds of studies that share ‘best practices’ for calls to action. But “when buttons are colored the same as design elements on the page, you’ve failed to optimize for UX and conversions”, according to Tommy Landry of Return On Now. We’ve touched on the fact the placement of elements on your landing page is just as important as the elements themselves. The same applies to a call to action–something these marketers recommend placing above-the-fold. “When you design a layout, make sure that important elements like CTA and information are at the top. This will help the user to interact with your page easily without having to scroll through the whole page,” says Janil Jean of Logo Design Guru. Selby’s Stan Tan uses this technique, and takes his inspiration from an eCommerce giant. Summarizing, “you have to grab the attention of the visitor in the first sight,” says Archideators‘ Muhammad Roohan. So, have Jeff’s team seen any tangible results from floating coupons? “We’ve tried including multiple in-text buttons as the reader scrolls down, but got a 12% increase in our click-through rate by using a floating coupon. Even more astonishingly, that increase was 27% on mobile simply by having the floating coupon,” he explains. Even if you’re offering small perks like free shipping, it’s a fantastic way to encourage more conversions. Conversion rates are based on the number of people who land on your URL and convert. It makes sense that these marketers are focusing on referring the right kind of traffic to boost the conversion rates of their landing pages. “When utilizing pay-per-click to drive traffic to your landing page, making sure that those clicking on it will already be interested in the content is probably the most important part of getting it to convert,” says Noticed‘s E.M. Ricchini. You can do the same with targeting a specific group of people through your ads. Only refer people who are actively looking for a solution to the problem you’re solving, and you’re bound to increase conversion rates for your landing pages. It’s tough to know which elements are performing well until you test them in isolation. A/B testing is a technique that changes one thing on your landing page (such as the video you’re using or placement of your call to action), and monitors the change to your conversion rate. But Milan from Adoni Media says this process should be adopted by everyone. A/B testing doesn’t have to be on a small scale, though. Are you aware of the actions people are completing on your landing pages before they convert? If not, “one great way is to use heat mapping, so you can see user interaction,” says Jeff Stanislow of Chief Internet Marketer. And although many of the popular tools used to build and host landing pages don’t offer built-in heatmaps, software like HotJar, Lucky Orange and CrazyEgg can be installed to gain extra insight. Chances are, you’re driving traffic to your landing pages from Google Ads campaigns. Instead of sitting blindly and hoping for the best, Lindsey Broussard of Online Optimism recommends diving into your Google Ads data and making personalized tweaks based on the results. Luke from Ascesis agrees with using Google Ads data but has another technique. “If you find that you’re pages are converting for a specific keyword, create a separate dedicated landing page, advert & keyword selection to lower your CPC & CPL,” he says. It seems like two highly-targeted landing pages are better than one. Sadi of RunRepeat believes there’s no one one-size-fits-all approach to landing page optimization. “You cannot go around reading and implementing random tips from experts. The best place to find the problem and the answer to that problem is your site analytics and visual data reports,” she says.